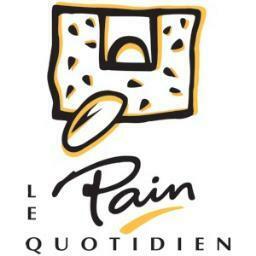 Belgian bakery and restaurant chain Le Pain Quotidien today announces that it will expand its efforts ensuring all locations are carbon (CO2) neutral in the U.S. by 2016, and globally by 2020. This initiative is part of Le Pain Quotidien’s ongoing mission to take responsibility for its environmental impact and join the fight against climate change by effectively reducing its restaurants’ carbon emissions to zero. 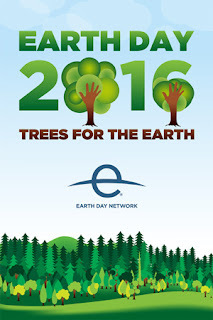 In tandem with this initiative, from April 18th to April 24th Le Pain Quotidien will launch an Earth Day campaign encouraging customers to “Eat More Plants” by giving one percent of proceeds from “100% Botanical” menu items to Wholesome Wave, a non-profit that inspires underserved consumers to make healthier food choices by increasing affordable access to locally grown produce. Denoted by a carrot on the menu, these plant-based dishes like Organic Coconut & Chia Seed Pudding and Avocado Toast are not only better for you, but yield the least impact on the planet. Le Pain Quotidien’s environmental efforts are already underway in New York and Connecticut, where international climate advisory organization CO2logic has certified these locations as CO2 Neutral. Nationwide, the restaurants have been refurbished with LED lights (which alone cuts energy usage by 80%), and the next step toward becoming CO2 Neutral is offsetting any remaining emissions. Le Pain Quotidien will complete the last stage via a Gold Standard-certified climate project in Africa. The program, which provides efficient cooking stoves to Ugandan communities in an effort to reduce emissions and prevent deforestation, furthers Le Pain Quotidien’s goal to prevent climate change on a global scale. “By choosing CO2 neutrality, Le Pain Quotidien is taking responsibility for its impact rather than shifting the burden to society,” says Le Pain Quotidien’s U.S. CEO Doug Satzman. “Since day one, we’ve been proud to use ethically sourced, quality ingredients and develop our menus in a way that’s thoughtful of the world around us. Taking this next step to address climate change by reducing our own impact is just the beginning. 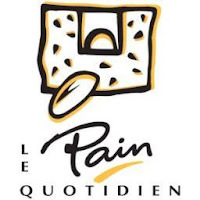 Privately held and founded in Brussels in 1990 by Chef Alain Coumont, Le Pain Quotidien is now an international chain operating over 240 restaurants in 18 countries around the globe. Le Pain Quotidien owns over 100 locations in the United States, the United Kingdom, France, Australia and Belgium and has a franchise network in countries including Argentina, Brazil, India, Japan, Mexico, the Netherlands, Russia, Spain and Turkey. The first U.S. location opened in 1997 in Manhattan and has since been joined by locations along the East Coast and in Chicago and California. For more information, visit: Wholesome Wave, CO2logic, and CO2 Neutral.